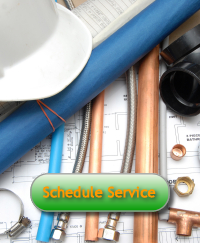 Safety | Tacoma Plumbing and Heating Inc.
Tacoma Plumbing and Heating’s primary safety goal is to provide a safe and healthy work environment for all our employees and customers. We not only promote safety awareness, but enforce industry safe practices. Our employees are given a thorough safety orientation so they know exactly what is expected of them on our projects. All of our employees participate in safety awareness in order to ensure our customers a safe and timely project completion. Mike Gilbertson, our safety director at Tacoma Plumbing, has done an excellent job educating all employees to the value and necessity of safety in the workplace. His ongoing safety programs have provided Tacoma Plumbing with some of the lowest EMR ratings in the industry. We maintain a safety and health program conforming to the finest practices of our industry. • Pre-job orientation including review of company and client work rules.